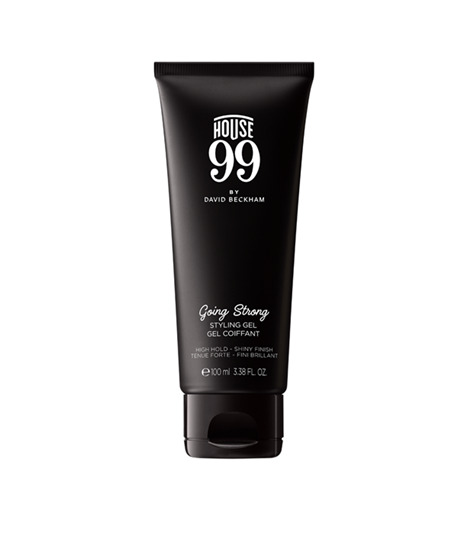 Going Strong Hair Gel is the original hair gel with a high hold and high shine finish. We know it's tough to find a bold hairstyle that fits. Once you've got your hands on it, make sure to never let go. The Going Strong Styling Gel will give you the strong hold you need with the perfect amount of shine. Additional perk: washes out easily. How: Apply a pea-sized amount of hair gel on dry hair then shape. When: In the morning or evening. How To - When your hair is almost dry, apply the hair gel. Start at the top of the head and apply the hair gel using fingers to push hair back and set into place. For more hold, add Tight Grip Hair Fixing Spray.